Over the next week take the time to reread the text on spiritual Gemini and to answer the following questions. The answers to these questions and subsequent Spiritual Exercises will form your journal of spiritual self-inquiry. This writing process can deepen your understanding of Hermetic Philosophy and The Brotherhood of Light Lessons, as well as provide insights into your own spiritual practices. Over time, you will gain in greater self-discovery, and have the means of tracking your own process of spiritual maturation. Do you have any early memories of being a witness or observer to your own thought processes? Can you describe those memories or the event? Do you have a restless, curious mind? What subject matters do you most often think about? What subject areas do you most often spend time reading about? If you had unlimited time to study what topics would you pursue? Who are the individuals (family members, friends, teachers, authors, philosophers, politicians, activists, philanthropists, mentors, etc.) who have had the greatest impact on your thinking? Is there a brother, sister, aunt, uncle or cousin who has had a significant influence on your intellectual life? Do you ever suffer from periods of great intellectual restlessness or mental instability? What triggers these bouts of instability or fretfulness? Do you frequently change your mind or change your plans? 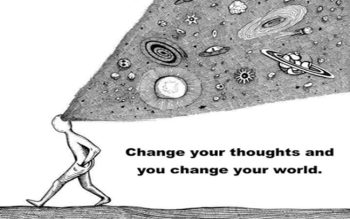 What causes you to change your mind or change your plans? Does your changeableness have an impact on the other people in your life? Are your inner dialogs a source of personal pleasure or pain? How do your mental states contribute or detract from your sense of peace and spiritual well-being? On a scale of 1 – 10, with 1 being the lowest and 10 being the highest, how do you rate yourself as a communicator? On a scale of 1 – 10, how would others rate your communication skills? Where is the sign of Gemini in your horoscope? Does it fall on a house cusp? If so, which one? How does Gemini impact your thinking in this area of your life? Do you have any planets in Gemini? If so, which planet/s? How do these planets influence you? What import life lessons can you learn about the role of Gemini in your chart?